HellermannTyton is an established and innovative global leader in the provision of network infrastructure cabling solutions, offering a broad range of quality, high performance connectivity for both residential and commercial use. HellermannTyton‘s Broadband Systems comprise a unique range of fibre splicing closures, wall boxes and enclosures that you would find in any typical FTTX application. HellermannTyton present a number of products and flexible deployment across the full range of FTTx applications. The term multi dwelling unit (MDU) covers a variety of properties including high rise apartment complexes, Victorian terrace flats, converted factories and multi-use business or residential properties. The large MDU is typically a multi-tenant apartment complex with a large number of living units over multiple floors within the building. A common MDU FTTH application will be designed with a single building entry point, a connectorised or spliced fibre distribution enclosure and drop cabling connecting the floor distribution to the to the optical telecommunications outlet at each apartment. The drop cables may be pre-terminated to the optical telecommunications outlet or at both ends for connection into the floor distributor. A small MDU applies to a smaller residential complex with a low number of apartments typically over 2 or 3 floors. A small MDU would use a lower capacity building entry point than the large MDU, directly connected to the optical telecommunications outlet with no separate floor distribution. With fewer living units to service, the cabling would be a smaller fibre count cable and may be pre-terminated. FTTB, also referred to as Fibre to the Building, typically describes a number of fibres to a single building or property. In this deployment, multiple businesses operate out of the building and therefore require dedicated fibres. Using either a facade box or ENIR to distribute the fibre providing an excellent solution to manage individual fibre connections. An SDU refers to a single house or stand-alone property. In this FTTH scenario, the building entry point will often take the form of a small unit such as the HellermannTyton customer connection point. The customer connection point will take a drop cable from the fibre concentration point and distribute fibre directly into the property to a optical telecommunications outlet. The final drop to the customer premises may be underground or aerial and can be pre-terminated. The aerial application is an alternative and often more cost-effective method to delivering fibre to the premises. The cable meets the building at a raised level and will either be routed directly into the premises via a Facade box or back down to ground floor level and into the building entry point. The drop cable may be pre-connectorised for connection into the fibre concentration point. Fibre to rural locations is often delivered over large distances to small communities. This type of fibre deployment can see anything between a single resident or an entire village connected to a fibre broadband service. The size of the deployment will determine the types of product required to deliver the fibre. A single property could benefit from a customer connection point whereas multiple properties could use the Facade box or a smaller fibre optic closure such as the FST or FRBU. The Highways Agency operates a dedicated network that connects thousands of roadside devices to a network of traffic control centres across the country. Largely made up of fibre-optic cables that run along the length of the motorways, the network links more than 14,000 message signs, emergency telephones, CCTV cameras and traffic monitoring systems to the control centres. Fibre-optic closures are used to distribute the fibre connections between the control centres and the motorway monitoring and communications equipment. Wind turbines and solar panels are widely used in the renewable energy market. Wind turbines use a wide range of sensors that monitor wind speed, direction, and temperature. This information is recorded and sent back to a control station where the positioning of the turbine can be managed. Similarly, solar panel sensors also report back a range of information including solar strength, solar energy consumed and amount of electricity generated. In built up town and city locations where multiple fibres are required to service residential and business properties, HellermannTyton offer a number of aerial, burial, wall box and street cabinet solutions to meet these demands. Rural fibre to the home delivery has seen rapid growth over recent years. Across the UK, there are thousands of homes and businesses in remote rural locations that cannot be connected by the mainstream service providers. Independent service providers have been formed to deliver fibre broadband to these rural locations by working closely with the local communities and land owners. 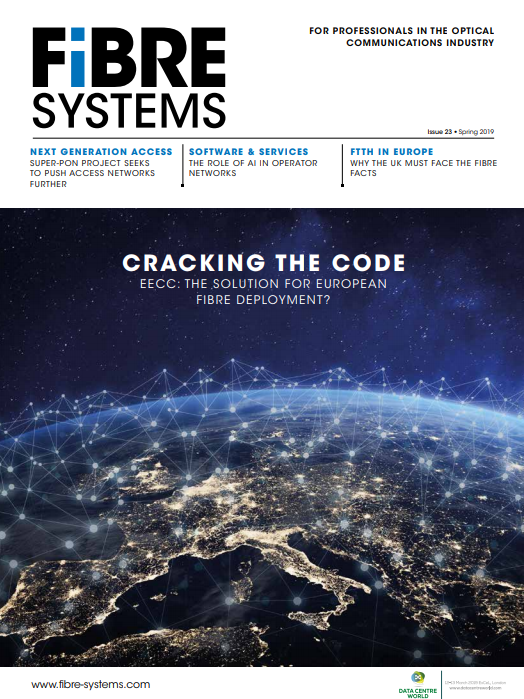 Fibre to the mast enables high capacity and flexible LTE deployment to meet the rapidly growing high bandwidth demands of today’s mobile networks. Fibre to the mast can also be a cost-effective solution to the rural broadband challenge, providing an efficient way of delivering fast internet access to locations with low population density. Fibre within rail networks has become an integral component for signalling and monitoring hardware. High performing fibre is essential for rail signalling, providing a safe and efficient service for passengers. Fibre is also used to relay data from sensors that monitor the condition and performance of the physical rail tracks. HellermannTyton fibre-optic closures can be used to distribute fibre connectivity to the active equipment up and down the railway network.